It was a lot funner then just using tablets and vinegar like we always have done in the past. 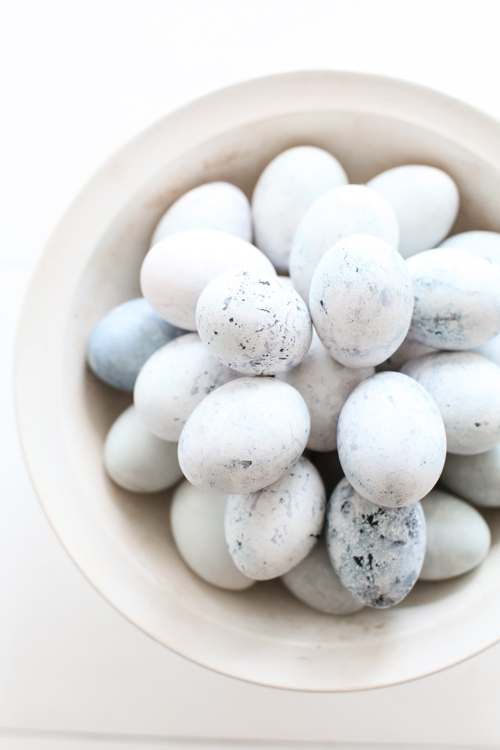 These lavender colored speckled eggs were a product of mixing grape juice and vinegar together. We left the eggs in the solution overnight. The kids dyed a lot of eggs! They combined avocado skins, potato skins, and onion skins. We added boiling water to their mixture of skins, and let it simmer for five minutes. I can hardly wait to see the entire issue! 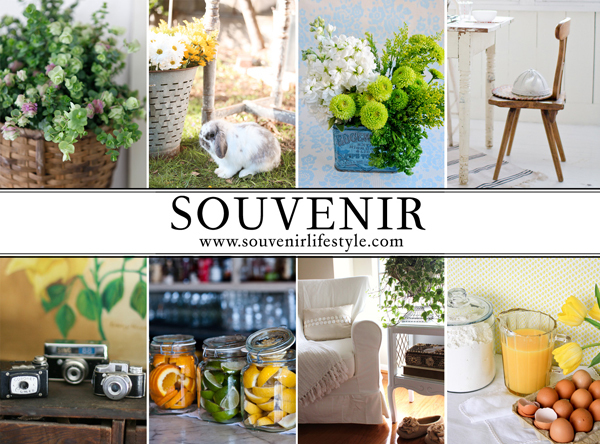 I am honored to be apart of Souvenir! Thanks for sharing this great idea. I guess you are not the only one who has never tried dying eggs this way as I have not heard of this before either. I am definitely going to give it a try. Thanks for the inspiration! Hi! I loved the eggs!! They look so beautiful! Many blessings to your sister and family on the newest member. Best wishes for your sister and the baby. I am looking forward seeing pictures :-). The photos of the eggs are very nice. Oh Maria, I love the eggs~I will be doing this too. 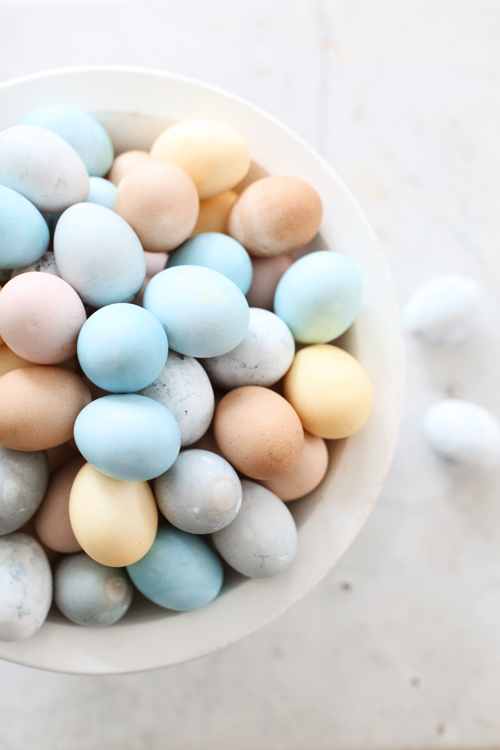 Those blue and pink eggs are just heavenly. Beautiful easter eggs! Great inspiration! What a fun project, the eggs turned out beautifully. And once again I am in awe of your great photography girl! So truly beautiful in their pastel awesomeness. Ty for the post about Jennifer Rizzo - wow what a collection and what a generous giveaway!!! Appreciate the heads up, thanks! THAT'S IT! YOU YOU NEED TO BE A PHOTOGRAPHER. I AM NOT KIDDING. CAN YOUR PICTURES GET ANY BETTER. WHY DON'T YOU WRITE A BOOK MARIA? SERIOUSLY, I FEEL LIKE GOING AND DYING SOME EGGS BY MYSELF WHEN MY KIDS ARE AT SCHOOL! DID YOU SEE MY COOKBOOK POST TODAY? THINK YOU SHOULD MAKE ONE! I USED A BUNCH OF PHOTOS IN MY BOOK THAT I TOOK AT YOUR HOUSE! :) LOVE YOU! 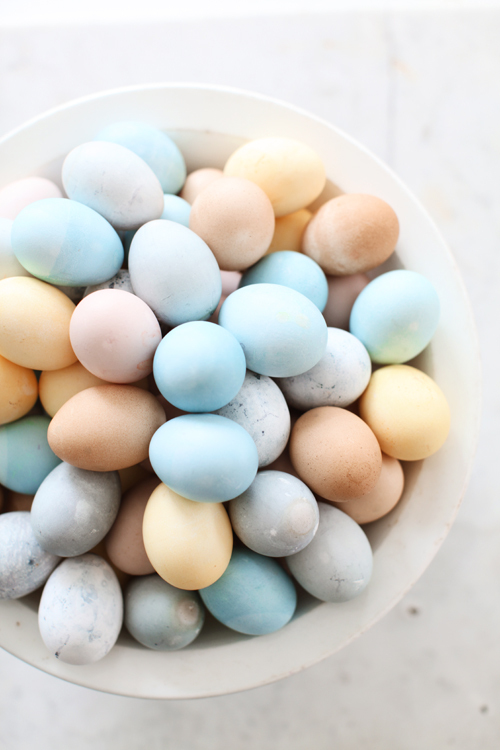 Those are the prettiest blue eggs I ever seen. I'll have to try that but you would think with purple cabbage you get a reddish color? How fun. I love how the eggs turned out. I'm going to try this with my boys, I think they'll have a blast dying eggs like this. Thank you for the tips and the gorgeous photos. Many blessings to your sister and her baby girl! And the eggs are just beautiful! Those are really really beautiful. how long do the eggs last without getting yucky?? So pretty! I did something similar about a hundred years ago. Martha Stewart had something where you layered the eggs with small leaves or ferns,onion skins and then cheesecloth. Then boiled in a vinegar and water mixture. However, I like your colors much better...more vibrant. Absolutely beautiful post Maria! I love how the eggs turned out....I'm going to try it with Jack and Emma too. Such beautiful pictures! Can't wait to see Souvenir....it is going to be great! Hope to see you soon! When we were little we used to dye eggs using beetroot and onion skins and I don't know why we ever stopped?! Thank you for reminding me how fun and charming it is do this simple and beautiful craft. I will most certainly be doing it again! My grandfather always put together small Easter baskets for his 28 grandchildren. In each little basket were eggs that were died with onion skins and a handful of jelly beans. 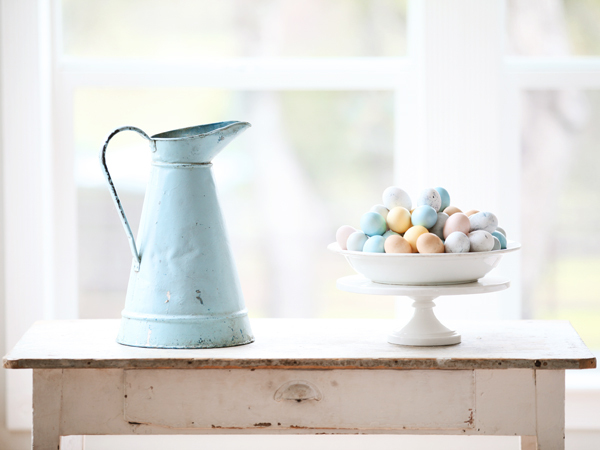 The eggs were beautiful, mottled shades of brown. So lovely! To do this, Grandpa tied onion skins in cheese cloth and then added this to the pan while boiling the eggs. Your eggs are so pretty! Your eggs look so good...I especially love the speckled ones!!! So pretty. I love your beautiful easter eggs! The colours are just wonderful. 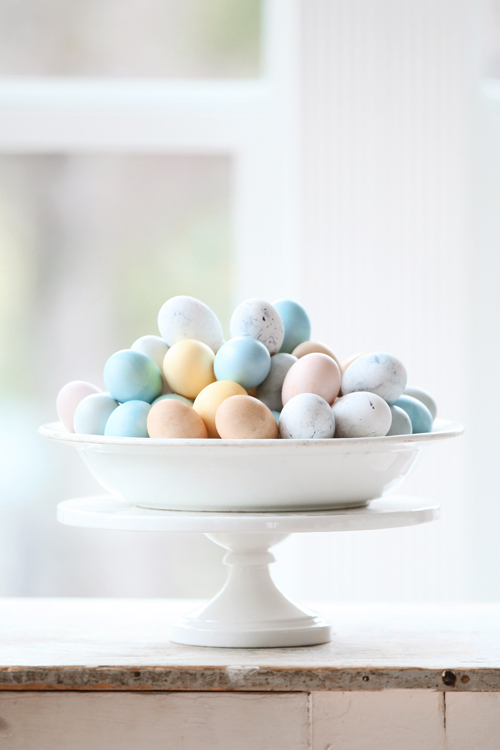 Your dyed eggs are stunning! When our boys were younger we used natural dyes but stopped somewhere along the way. I think its an activity we are going to have to start back up this year. The fizzy coating on your mottled eggs is caused by the vinegar slowly dissolving the egg shell which in turn causes a mottled surface. And congratulations on your newest niece! How exciting!! And it good to know that they are both doing well. Oh, they turned out beautifully. I love the soft hues. Well done! Silk Neck Tie Egg Dyeing, this is really interesting, thought you would appreciate this! Its beautiful easter egg. Also you share great idea for make egg using fruits and vegetables. Its too good post. 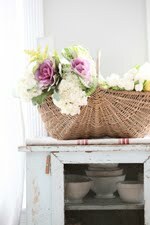 What a lovely blog... and post! Very sweet... Following you from Llanes (Spain). 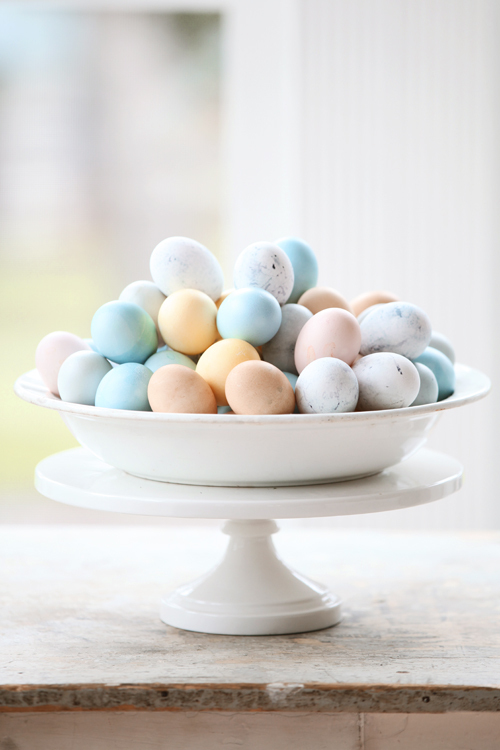 Love the Easter Eggs, they are so much nicer than the bright colored ones, and looks fun to experiment with different foods. I pinned a photo to pinterest and referenced your blog. 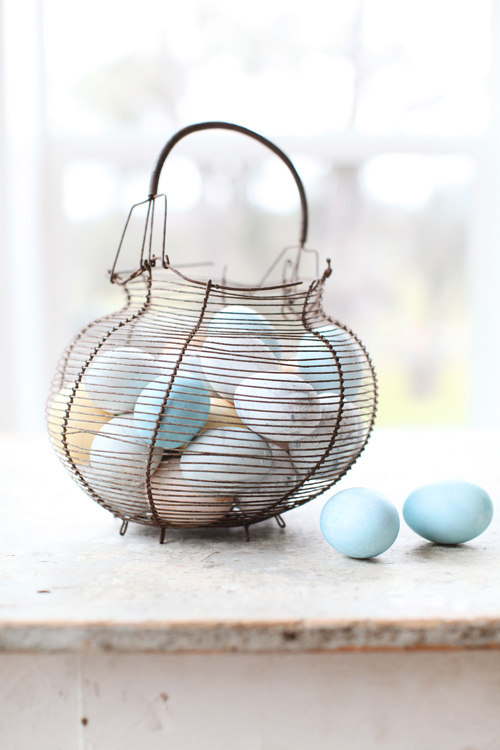 The wire egg basket is perfect for the eggs. Congratulations to your sister for the delivery of a healthy baby girl. 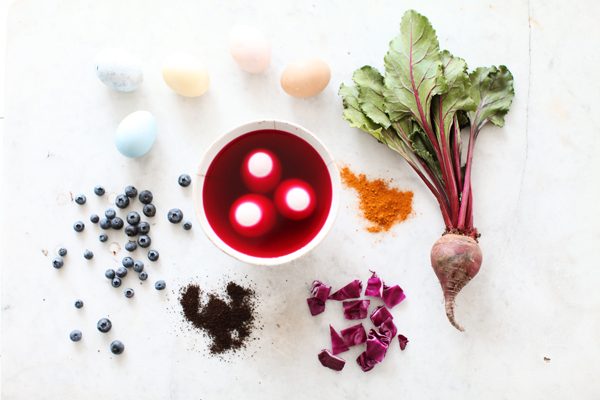 This is a great way to teach kids that natural dyes existed in nature before the grocery store sold Pass Easter Egg kits. Fun and educational! Thanks! 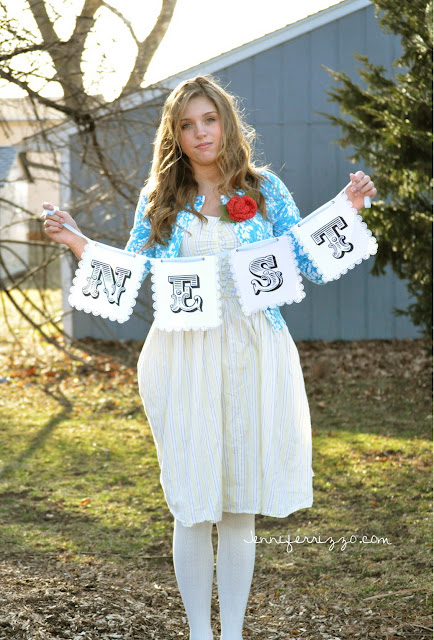 Yay for your new little niece! I am the 9th of 10 children too :) Your sister must be as grand as my mum! I love your pretty egg post. Hi Martha! Today I discovered your blog! Looks so cute!!! I´m writting you from Barcelona... This post is very interesting and beautiful of course, I share it in my facebook. Thanks for share this!! 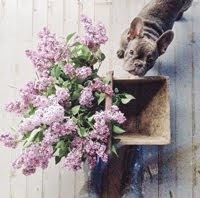 Lovely blog, I have discovered it, and I will follow it, regards and happines. thanks for the dye idea...I think we might try this here! Fruits and vegetable is most important part for stay healthy. You give fantastic idea for easter egg making by use fruits and vegetables. Beautiful pics - as always! 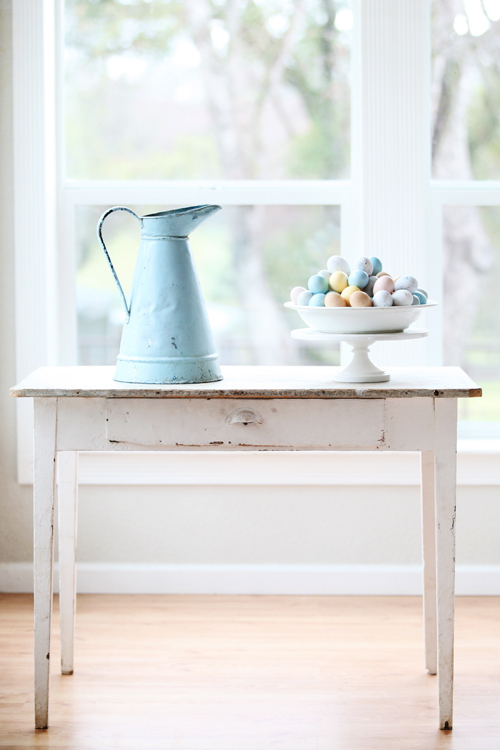 Great idea, must try this for my Easter table!! SUCH beautiful images. You've inspired me to try this out for myself - which is no mean feat - I usually just sigh and swoon over other peoples efforts! Thank you! Very pretty colors. I've discovered a local farmer who has chickens that lay blue or green eggs....soft pastels. I was thrilled to find them. Yours look beautiful and is a fun project. your home is simply divine! 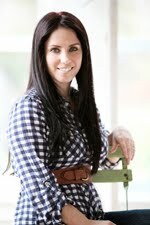 Hi Maria...my adult daughter just saw this post & your website and was completely blown away. She is thinking of starting a Texas hill country store (online & real) and wants to know if you photograph your merchandise yourself. We both see that your shop is doing very well!! Thanks so much for this fantastic inspiring post, it's a great child friendly activity I look forward to doing with my three boys! I have shared it on our page http://www.facebook.com/TheSweetSocietyAU. Wow those are so gorgeous!!!! you are so creative!!! 10th child. Your sister is a making making machine. I've been blowing out eggs the past few days trying to accumulate enough to decorate a small tree. And now I know exactly how to color them. Your shots are gorgeous by the way! knows what they are discussing over the internet. You definitely understand how to bring a problem to light and make it important. content, however this webpage gives feature based content. Hi. You can also put leaves or small flower heads and secure them to the egg with a peace of nylon stocking before dyeing and you will have the shape of them on the eggs once you have taken off the stocking.